Infinite will be having their 1st world tour as part of celebrating their third anniversary since being in the music industry. 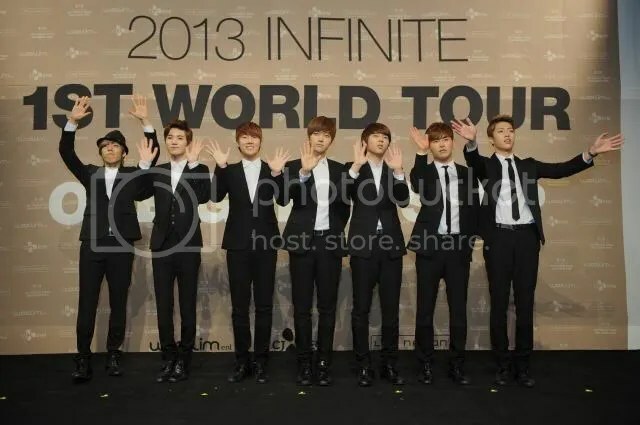 Infinite, who is now at the very heart of the massive popularity of K-Pop, consists of seven members: Sung Kyu, Dong Woo, Woo Hyun, Hoya, Sung Yeol, L and Sung Jong. Debuted in June 2010 with their first mini album, First Invasion, going straight to the top of the charts, this group continue to conquer the music charts worldwide. Their single, The Chaser, was named Song of the Year by Billboard.com. 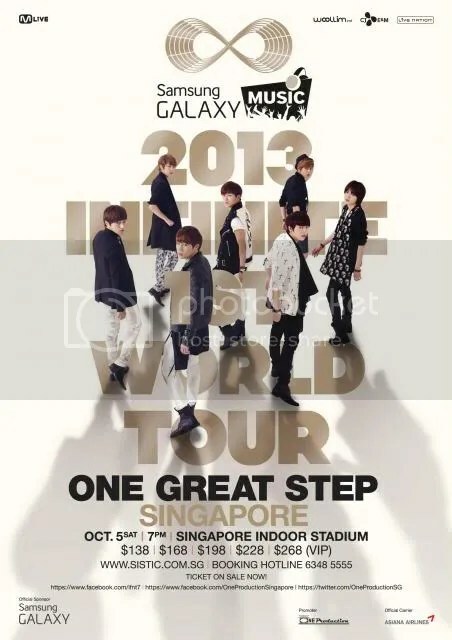 Infinite will be making their way down to Singapore Indoor Stadium this coming October and promised to put on a world-class concert backed by their internationally renowned production team to the Singapore fans! Inspirit, get your tickets now at Sistic before it is sold out. You do not want to miss this chance to see your idols upclose!